"Wow! It is all in this book. Mr. Kraft has set forth trading concepts and specific trading ideas in straightforward language that all can understand. He clearly explains the risk levels in trading and this book shows you exactly how to enter trades with high risk, low risk, no risk, and even trades with a guaranteed profit! This is not a must–read, it is a must–study book as it delivers in–depth information and knowledge that will provide the trader with all the tools necessary to build a solid trading foundation. 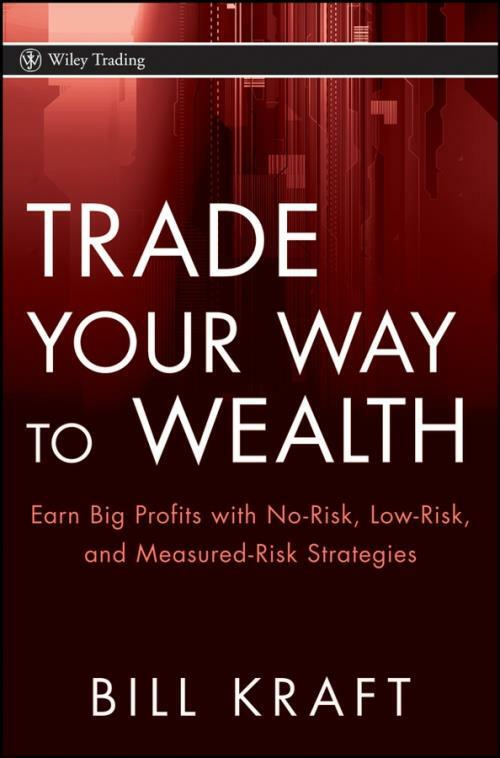 Trade Your Way to Wealth may be the new ′bible′ for the active trader." "Incredibly easy to read. The trading strategies are presented in a conversational tone that is easy to understand. Almost more important to me than the strategies discussed by Bill is the framework he wants the trader to build around these strategies. His insistence on creating a plan is critical. I have seen countless failures by traders who don′t operate with a plan. His advice on taking a profit also struck home with me. And lastly, his advice on being patient and disciplined and keeping fear and greed out of the equation are essential." "From options to ETFs to covered calls to money management, Kraft covers it all. Each chapter is jam–packed with nuggets of wisdom and exactly how to make money during any market condition. Whether you are a trading veteran or novice just getting started, his new book is a must–read." "Mr. Kraft′s book is a very informative and easy–to–understand guide to stock market investing. He takes the complex issues of options trading and simplifies these for all to understand. His analysis of risks, timing, and setting a plan to achieve wealth are all well written and provide the reader with a personal plan to achieving wealth via the stock market. This valuable guide is made to order for any American who is tired of the long workdays and grind and wishes to achieve wealth on his or her own terms. I strongly recommend this book to all who wish to understand the stock market and how it can be utilized to achieve the American Dream of greater wealth and financial freedom." Chapter 1. Millions Can Be Made with Safer Trades. Chapter 2. Is the "Invest and Hold" Strategy Best for You? Chapter 3. Successful Trading Can Be Simple. Chapter 4. How Put Options Can Protect Your Money, and Make You Money Too. Chapter 5. How Call Options Can Really Make You Rich. Chapter 6. Combining Strategies for No Risk and Low Risk Trades. Chapter 7. Money Every Month. Earning Income. Chapter 8. Getting an Edge with Exchange Traded Funds. Chapter 9. What You Need to Get Started. Chapter 10. Comparison of Strategies. Appendix A. Elements of a Basic Business Plan for Investors and Traders. Appendix B. Closed End Income Producing Fund Examples. Appendix C. Selected ETFs and REITs.